Thanks for reading Lomba Desain Poster Nasional Techfest 2018 di Universitas Jambi. Please share...! 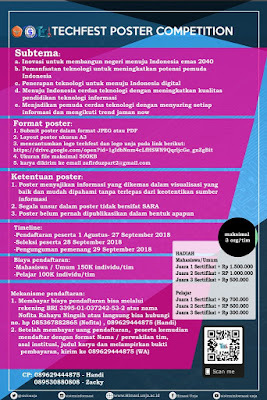 0 Comment for "Lomba Desain Poster Nasional Techfest 2018 di Universitas Jambi"